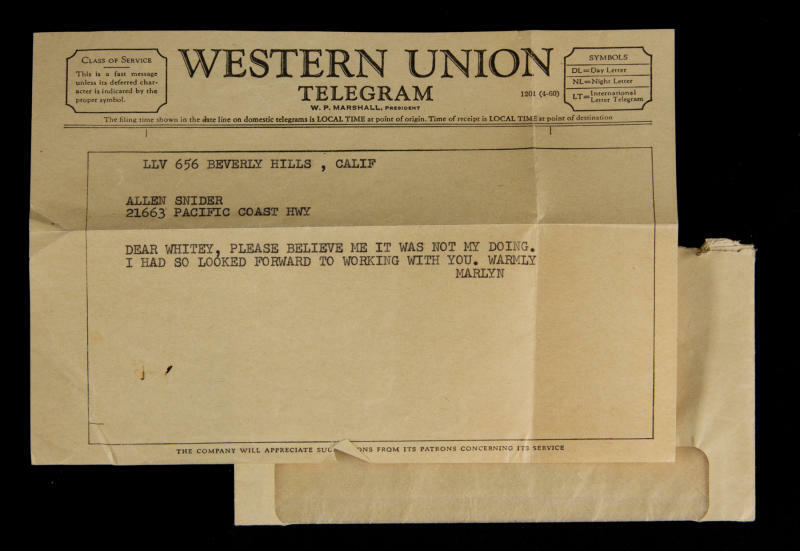 LOS ANGELES (AP) — A collection of never-before-seen photos of Marilyn Monroe — and their accompanying copyrights — are going up for auction. 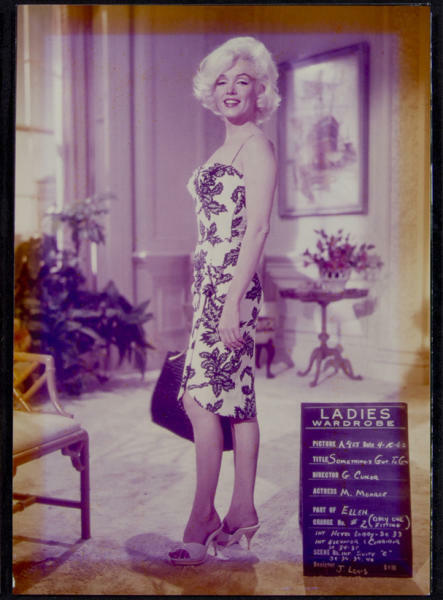 Celebrity auctioneer Darren Julien says more than 100 images of Monroe will be sold the highest bidders later this month. The photos come from the estate of Allan "Whitey" Snyder, Monroe's personal makeup artist for 15 years. One image shows Snyder applying makeup to a lingerie-wearing Monroe on the set of "Let's Make Love" in 1960.
Letters, telegrams and a money clip from Monroe to Snyder are also among the lots set to be sold during Julien's Auctions' Hollywood Legends sale on March 31 and April 1. The auction also includes memorabilia from Frank Sinatra, James Dean, Charlie Chaplin and Sammy Davis, Jr.